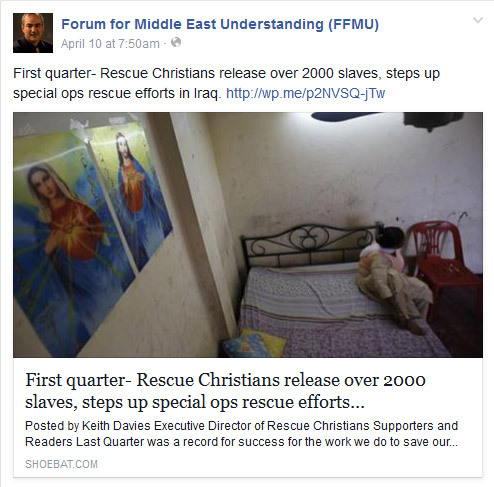 This end times prophecy study discusses the persecution of Christians in the Middle East. From the evidence below you will see that they are primarily either of the Catholic Church or Orthodox Church. Both of those Churches believe in salvation through the sacraments and they revere Mary as their intercessor. And that is not true salvation, for it is by faith in the atoning work of the Messiah alone, who is our only sole Intercessor. So though we don’t want anyone to be persecuted, we have to discern that these people are called Christian, but they are part of an apostate Church that teaches a false salvation message. When you see a headline that Christians are being persecuted, that may not be telling the true story. If they are in fact apostate Christians, their persecution may be deemed as one of judgment from the Almighty. which is taught by the Popes of Rome. 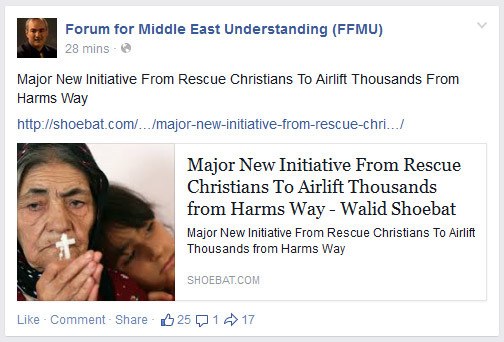 Walid Shoebat has an organization that raises money to help Christians, but as you can clearly see in the images that he posts on Facebook, these people are either Catholic or Orthodox, and they pray to Mary as their Intercessor. Note: Walid is a Catholic. This lady is holding her Rosary beads. This woman has pictures of the Immaculate Heart of Mary and Christ on her wall. 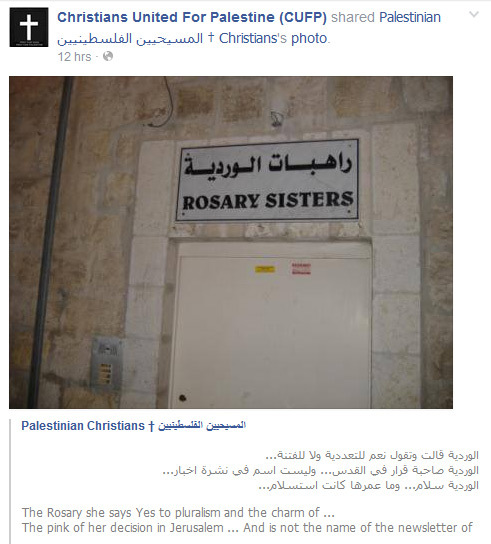 This post from Christians United for Palestine shows the entrance to the Rosary Sisters, which obviously is either Catholic or Orthodox, and shows their devotion to the sacraments and to Mary as their Intercessor. This is not a judgement against anyone, for only our Messiah knows their hearts and knows if they are truly saved by faith. But we need to discern these Middle East killings, because the title of Christian is generic.